Uh oh. 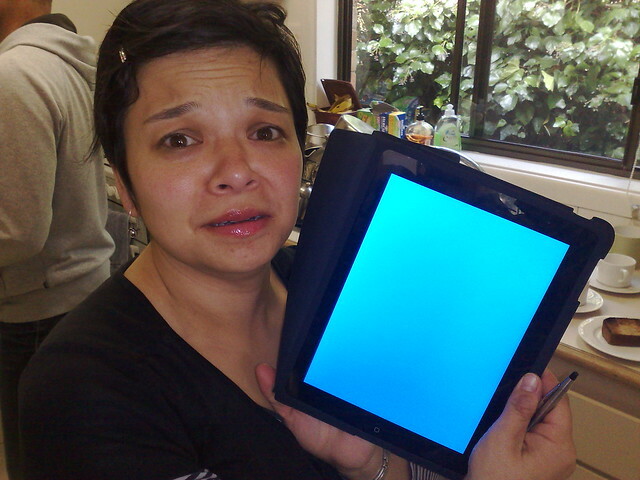 My sister’s iPad got the Blue Screen of Death. Who knew they suffered from that? I thought Steve Jobs, being all-powerful, would have abolished them. It happened while playing Rocket Bird. We resurrected it by doing a hard reset. It is a helluva lot of fun, isn’t it! oh my..tsk tsk. does this mean it is not capable to handle too much “gaming”? ?